Adaptation of YA Novels are a dime a dozen. So few of the ones that do launch find their way on the path of a sequel. How City of Bones did it is beyond me. But Summit Entertainment hopes that the adaptation of Veronica Roth‘s Divergent series is one of those to join the ranks of Harry Potter, Twilight, and The Hunger Games. The film is set in a futuristic Chicago where all of its citizens are separated into classes based on their personality. Shailene Woodley plays Tris, a special breed of human who cannot be identified by her personality, therefore she is seen as a threat to society by the government. Hit the jump to see both the trailer and the poster. Woodley has come a long way since her days on the ABC Family series The Secret Life of the American Teenager. Since then she co-starred alongside George Clooney in The Descendants, and starred in the hit indie film The Spectacular Now, even dropping her role as Mary Jane Watson in The Amazing Spider-Man 2. Whether or not Woodley’s decision to leave her role in Spider-Man was the right one remains to be seen. Again, many of these adaptations do not fare too well, with only a few actually making it to a sequel or even finishing the series. 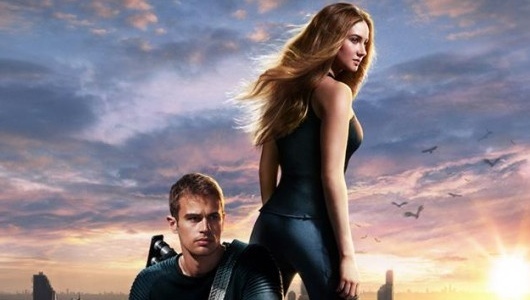 Even with a strong cast, these adaptation of YA novels could be on their last leg, but if Divergent proves to be a hit, it could be the thing to extend its life. 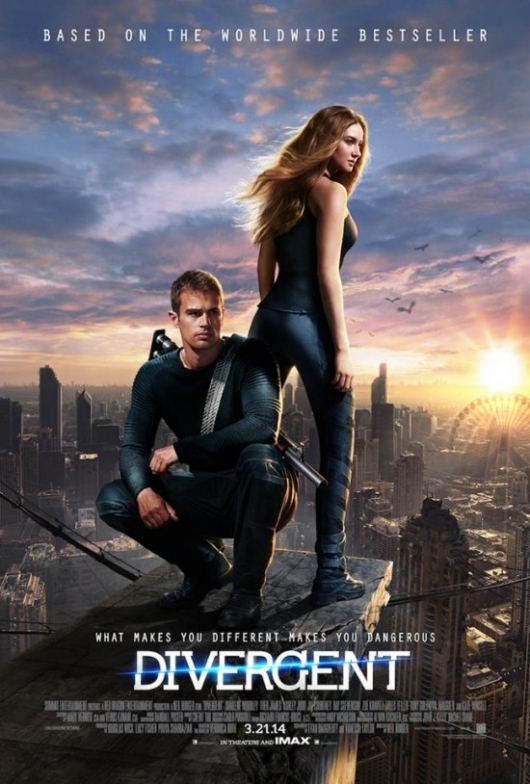 Divergent also stars Theo James, Zoe Kravitz, Miles Teller, Maggie Q, Kate Winslet, Jai Courtney, Ashley Judd, and Mehki Phifer. The film opens in theaters on March 21, 2014.